WebScraper 4.1.1 – Scan and output website data as CSV or JSON. WebScraper uses the Integrity v6 engine to quickly scan a website, and can output the data (currently) as CSV or JSON. Allows editing of your table columns (previously, to change anything other than the column heading, it was necessary to delete the row and add a new one). Next story FontExplorer X Pro 6.0.5 – Font management software. Previous story Chief Architect Premier 20.2.2.3 – Advanced design tools for detailed construction drawings. WebScraper 4.5.0 – Scan and output website data as CSV or JSON. 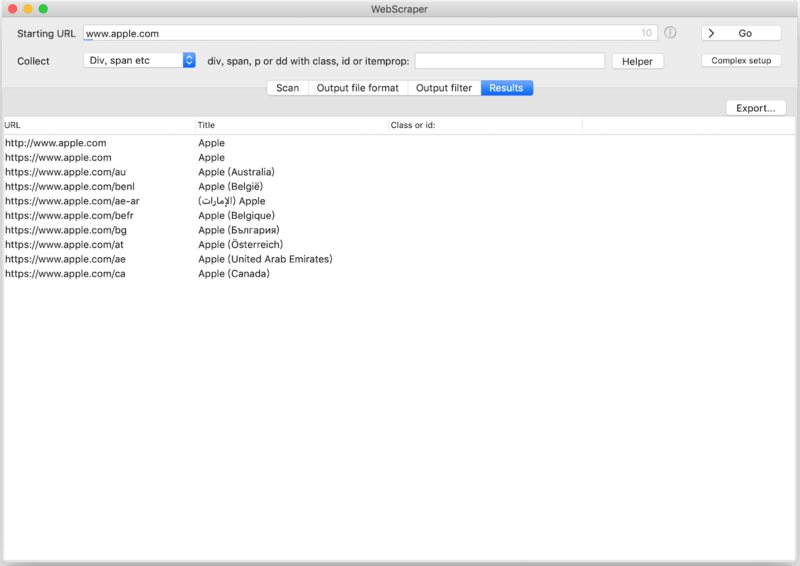 WebScraper 4.1.0 – Scan and output website data as CSV or JSON. WebScraper 4.2.0 – Scan and output website data as CSV or JSON.